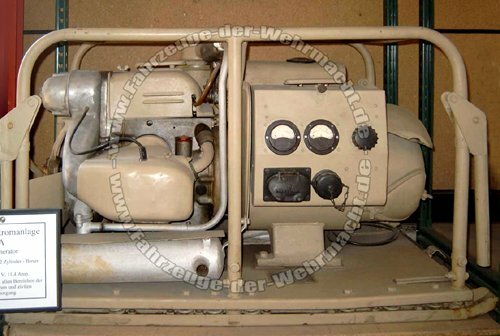 This 7,5 kVA field electric generator ( Stromaggregat ) was widely used in german army during WWII. 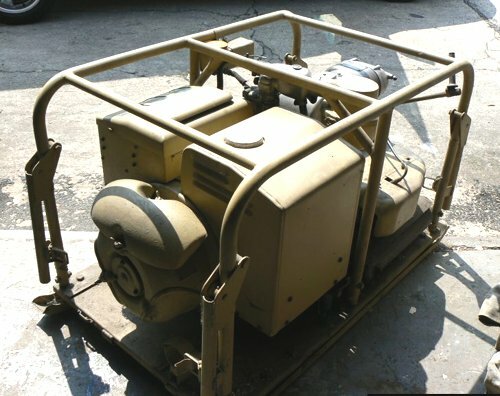 It was to deliver 3-phase 380/220 V, 11.4 A current to power up any kind of field installations - command, medical and radio posts, camps, workshops etc. 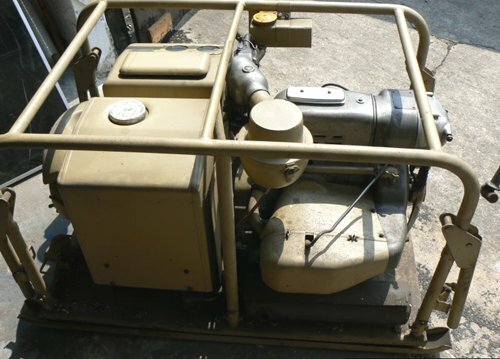 Thanks to its reliability and automated control system, this particular generator was also widely used as a backup power unit in the industrial or civilian facilities, such as factory lines, hospitals, bomb bunkers and alike. 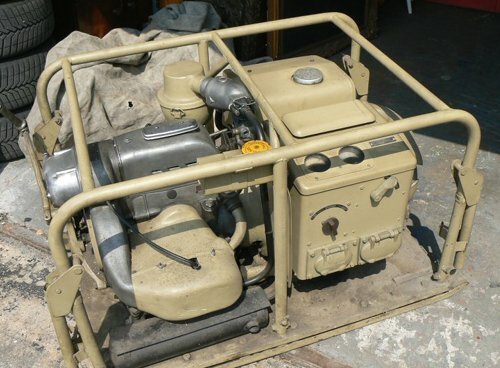 Despite its quite high power of 7,5 kVa, this generator had reasonable weight of about 300 Kg., so it could be handled by four men ( four foldable handles were provided for that ). Ones unloaded from a truck or a trailer, this device was very compact. 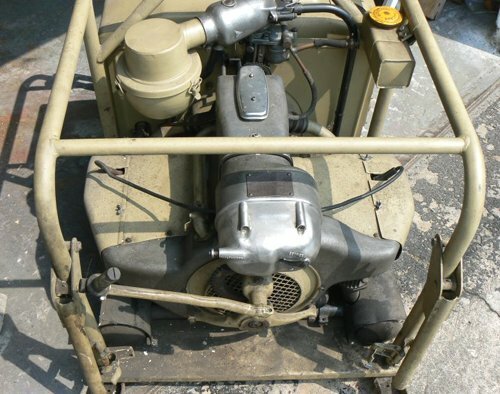 The Zundapp KS600 (model 1938) motorcycle 2-stroke, 2-cylinder, 28 hp, air-cooled engine was utilized to rotate 3-phase generator and the centrifugal fan, which was inclosed in the shell cover to deliver airflow to the cylinders. 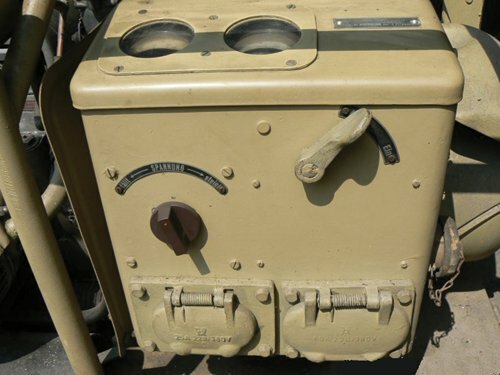 The Solex carburettor was controlled by the pneumo-hydraulic automatics for optimal fuel consumption. Some modifications of this device are known, using different electric boxes, exhaust systems and starter construction (these optional parts are included in this kit). This kit presents the Zundapp 7,5 kVA generator on the A1 trailer chassis. 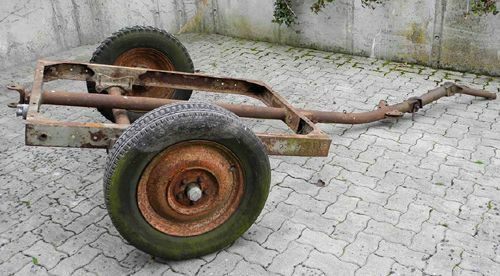 Anhangerfahrgestell A1 - the type A1 single-axle light trailer chassis - had been designed for Luftwaffe before the war, . It had a weigh of 140 kg, and payload of 610 kg (750 kg - for type A1B), and was to be towed by light motor vehicles, or even by men power. The construction was very simple, yet, the A1 was used as chassis for many superstructures and auxiliary trailers. The Zundapp 7,5 kVA generator is also available separately as the Leadwarrior Lw35209 kit.